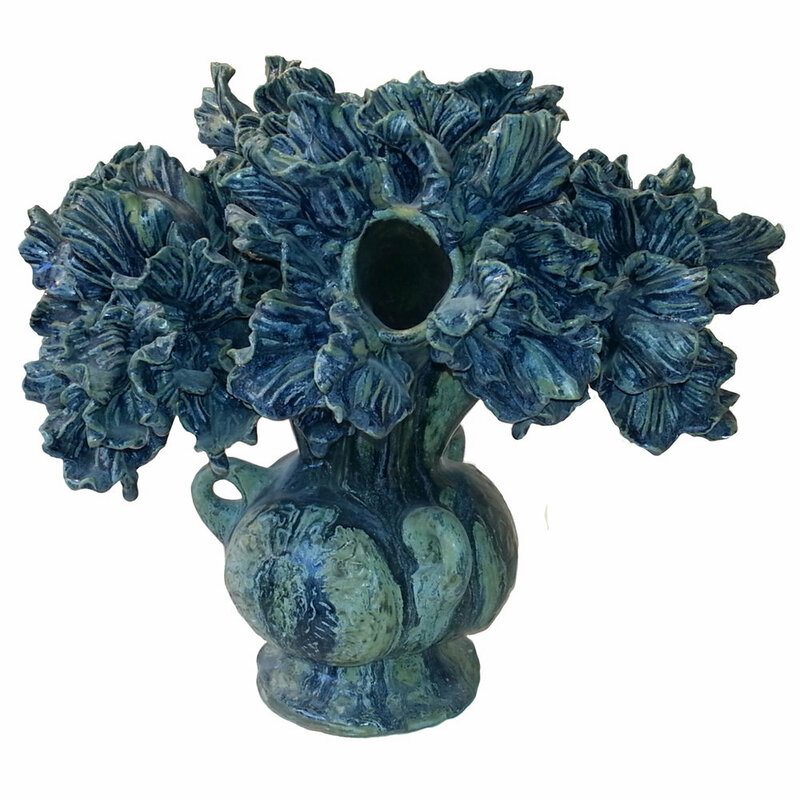 Matthew Solomon Ceramics offers a wide variety of botanical inspired ceramic sculpture in porcelain, stoneware and raku clay. Available in every shape and size. For tabletop or architectural installation. Each a unique creation handcrafted by the artist himself. Eight to Twenty Two Inches. Inspired by Jan Van Huysum, Vincent Van Gogh, Henri Matisse. Jean Dubeffet, Frank Stella, et. al. and flowers in general.